Great. Now you have no excuse not to try out steamed recipes. Steaming food is a healthier choice because it doesn’t require the addition of oil and nutrients are not leached into boiling water. 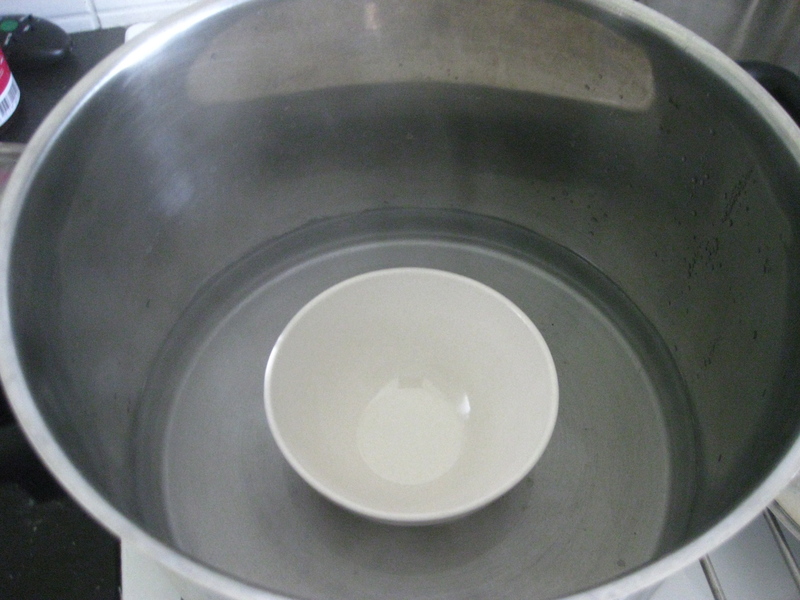 Moreover, the steam keeps the food moist and tender…AND busy / lazy people don’t have to watch it closely (as long as the water at the base does not dry out, your food and house will be safe) so it’s easy to cook the food well without spending much time at the stove. Evidently, it isn’t used much in Western kitchens, but Asians use this method to cook almost anything — fish, meat, sweet potatoes, eggs, rice, soups, noodles, cakes, breads… Perhaps the common usage of this healthy method is part of the answer to the Westerner’s constant dwelling on ‘why are Asians so skinny’, apart from ‘burning energy picking up food with chopsticks’ lol. I guarantee that you can expect more steamed recipes to pop up soon! Mix the yeast and warm water together. 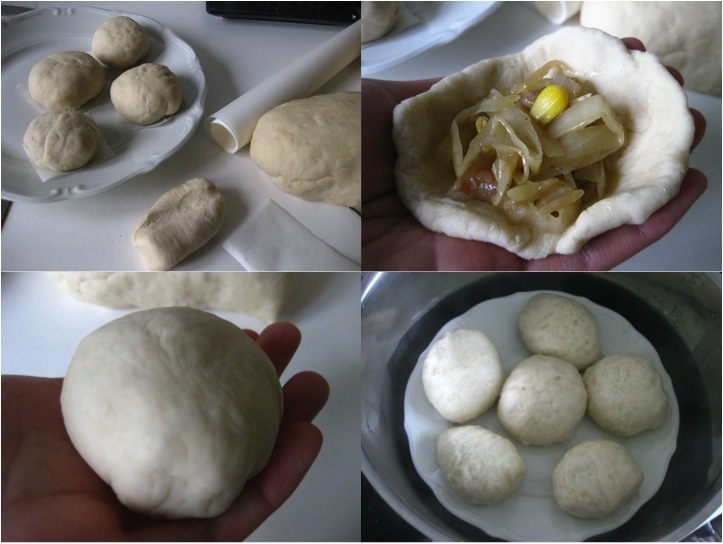 Combine and knead into a soft dough. Cover with a damp cloth and leave aside to rise for 2h. Shape dough into a log of about 4cm in diameter. 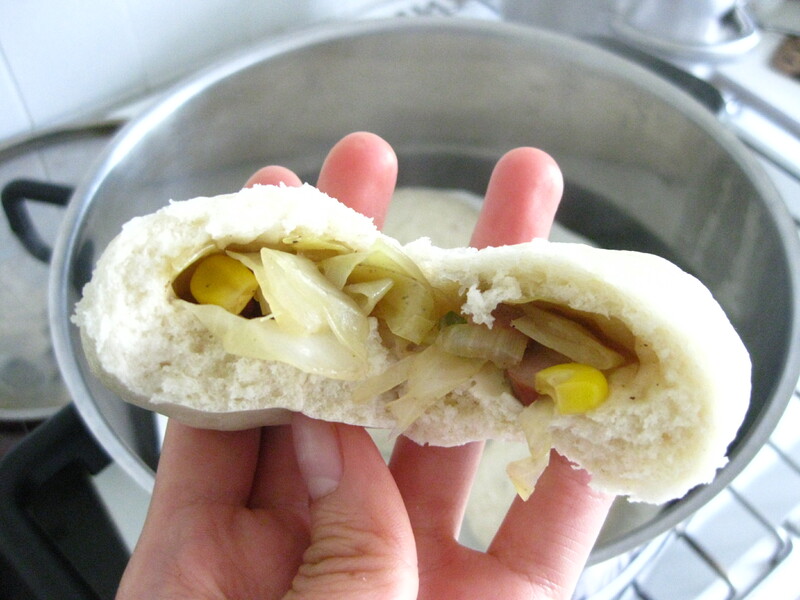 Cut into 2-3cm segments, flatten / roll into a round and wrap your desired filling (any finely chopped stir-fries or sweet pastes or anything you’d willingly eat with soft white bread – I had in mine cabbage and corn stir-fried with garlic, onions, chili, pepper and oyster sauce). Place on a square of baking paper to prevent it sticking to the plate. Steam for 8-10min and serve warm! Note: Remember to leave enough space between the buns, it expands about 50% of its size after steaming! Refrigerate the extras and just pop it into the microwave for 30s and… voila! Soft chewy buns!